I bought this souvenir while on a church youth group trip from York Beach, Maine, to Pennsylvania. We toured from mining country in the western part of the state, to the minister’s family home in Lancaster County (his parents’ house nestled among Amish farms), to Philadelphia. 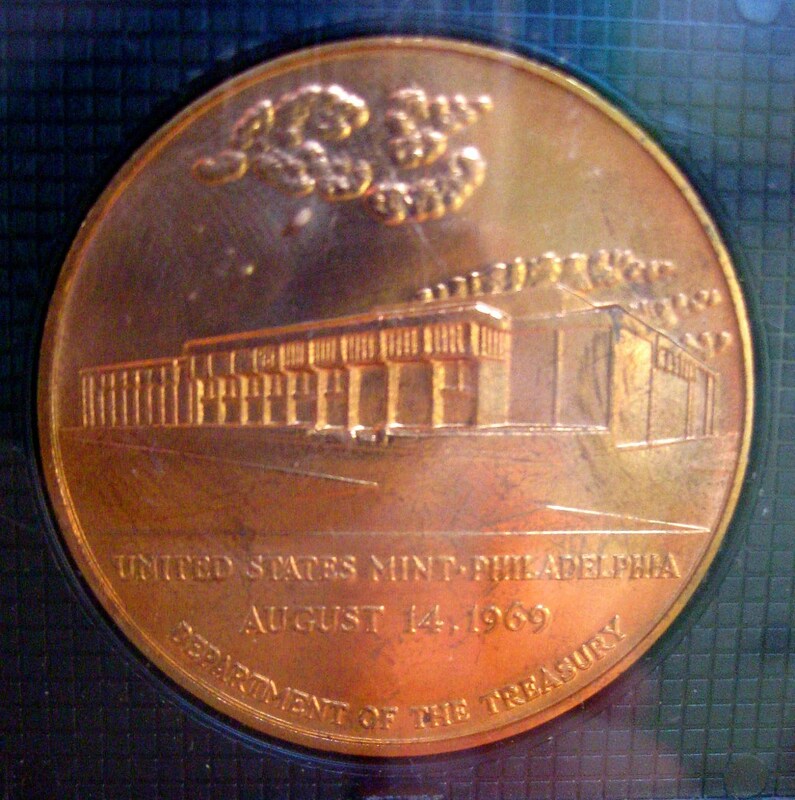 There we toured the University of Pennsylvania’s museum, saw Independence Hall (with the Liberty Bell on display in the hallway), and toured the new Philadelphia Mint. I bought this coin/medal, encased in its snazzy plastic display stand with faux bois detailing. This bronze coin was valued at $8 — selling for less.